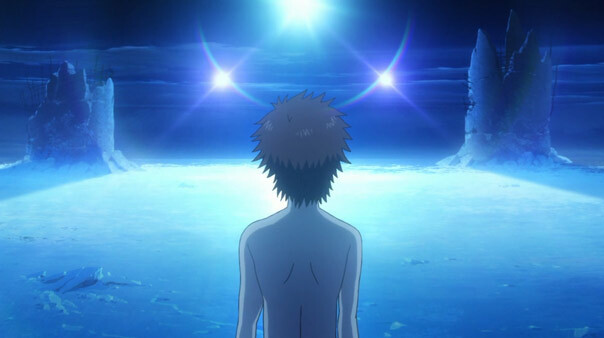 Kaname returns (also naked like the Terminator), and through him we get a fresh look of what has changed and what hasn’t since he went into hibernation. 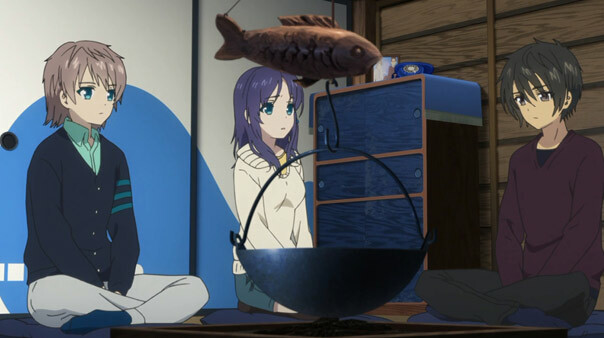 His situation’s a little different from Hikari’s, in that his true love isn’t still somewhere under the sea; instead, his true love is now five years his senior and living with Tsumugu, the two acting like an domestic couple on the same wavelength, what with their well-practiced kitchen maneuvers. 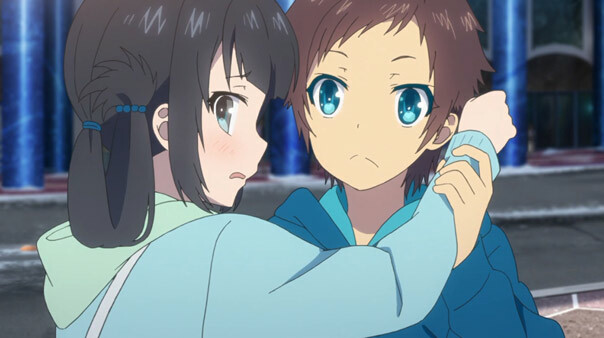 But like Hikari, he both pines and is pined for: Sayu enters the vortex of one-sided loves. 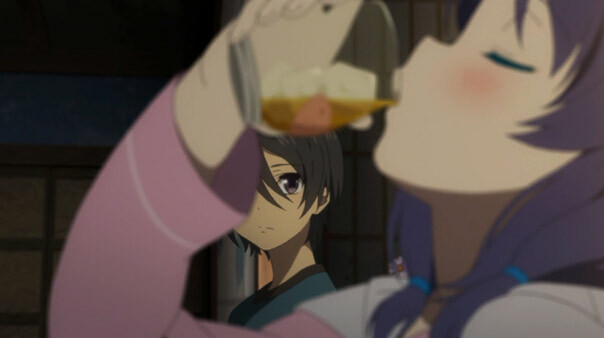 Honestly, I’d forgotten she’d taken a liking to him, and remembered there was a surface girl who also liked him, but there’s no sign of her still being in town. 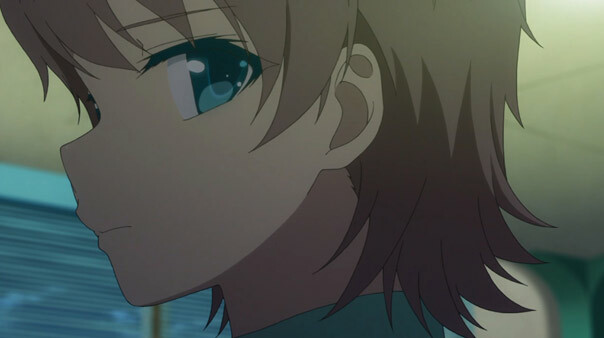 But Kaname made his feelings plain for Chisaki, and lets her know that he—and those feelings—haven’t changed. 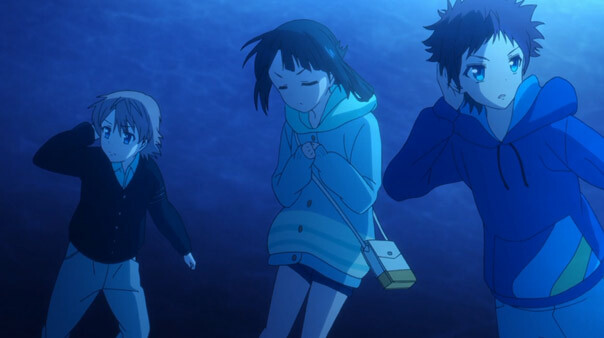 The ball is in Chisaki’s court, though she has two other balls to juggle. 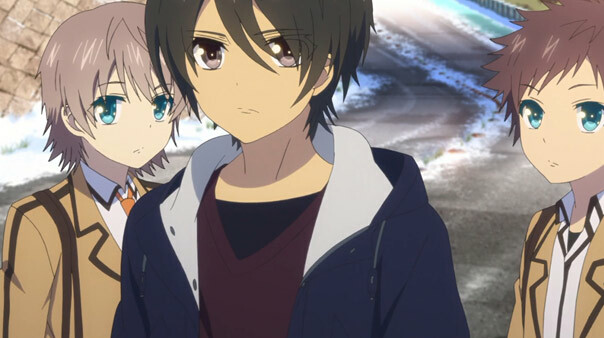 Kaname’s return also makes things tricky for Miuna in her quest for Hikari’s heart. 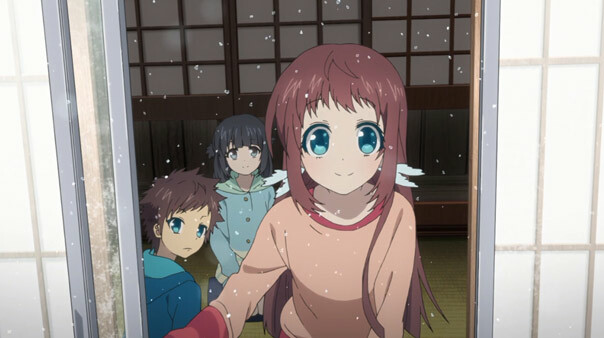 That Kaname returned has increased the chances that everyone else will wake up soon; Hikari’s beloved Manaka included. 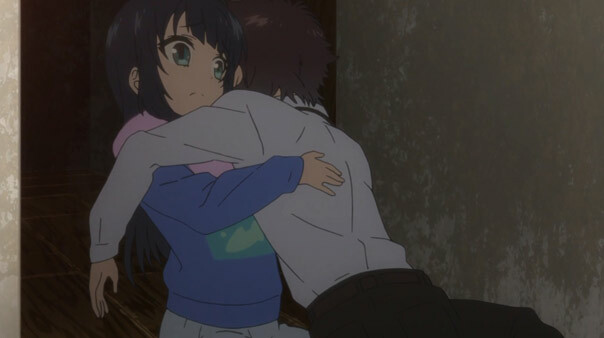 Tsumugu’s research is also adding fuel to that fire. 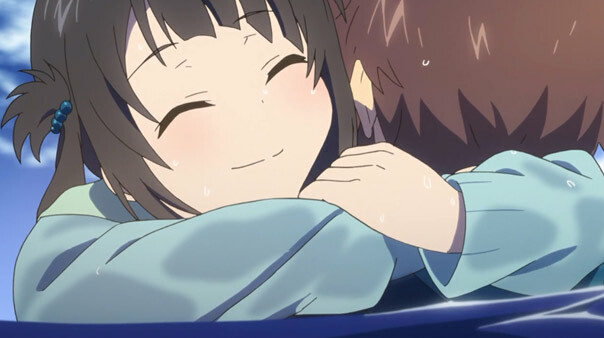 With Manaka increasingly on Hikari’s mind, Miuna’s chances are as slender as ever. 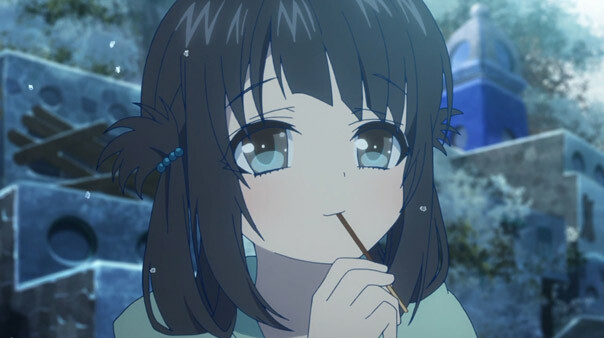 But when she overhears Hikari and Kaname having a chat by the pool their schoolmates maintained in their absesnse, she’s reminded she’s not alone in liking someone who likes someone else. 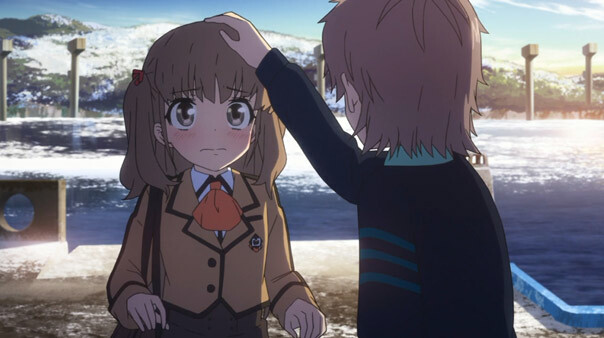 Just as Kaname’s flame for Chisaki continues, so does Hikari’s for Manakas. 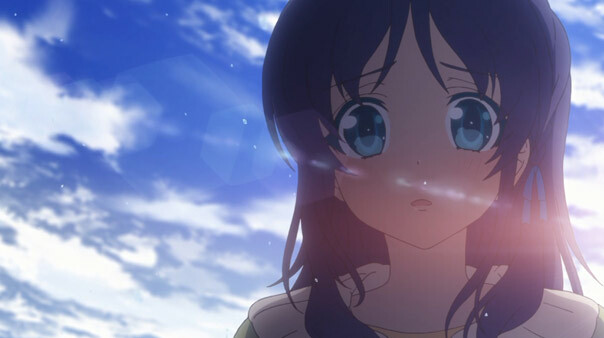 Initially this deflates Miuna, but I think it inspires her to stay true to her feelings. 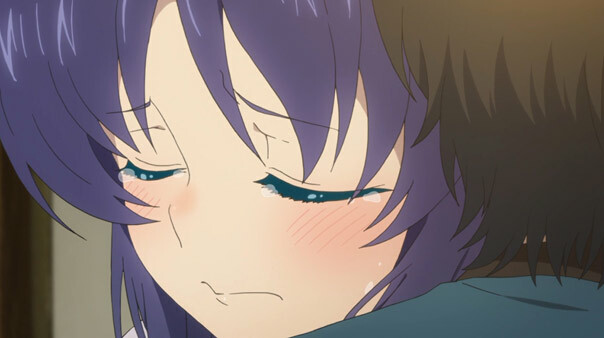 When Sayu crosses paths with Kaname again, and he calls her by name and treats her affectionately, Sayu admits to herself that she’s “sick” too, and doesn’t want to change either. The ones they love may still be far away, but they won’t stop trying to get closer. 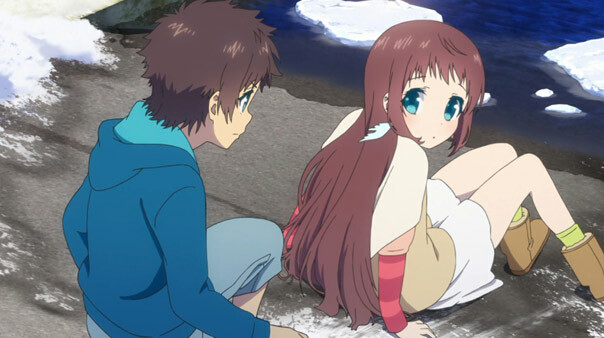 To that end, Miuna makes use of her newly-formed ena to lead Hikari to Shioshishio, his home she’s never seen, even if they end up finding Manaka. 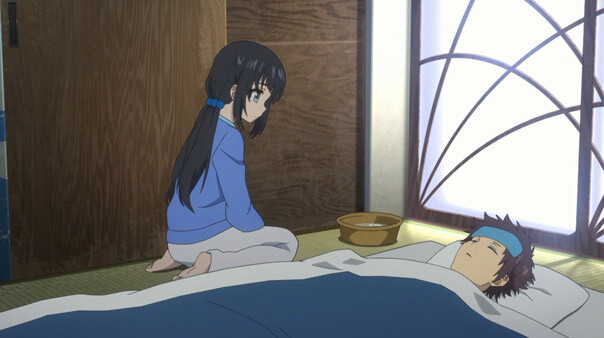 This episode focuses in on the growing item that is Hikari and Miuna. 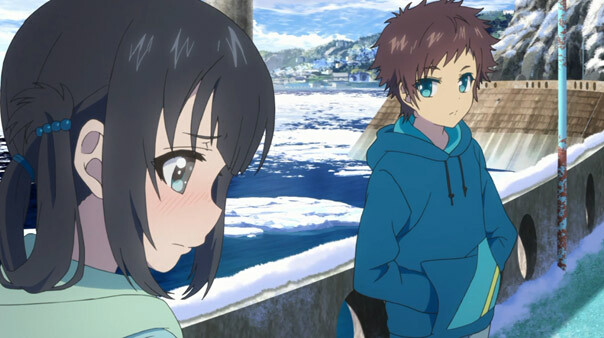 Hikari may not see her as a love interest, but this episode gives Miuna ample opportunities to, if not overtly express her feelings, to at least spend some time close to him. 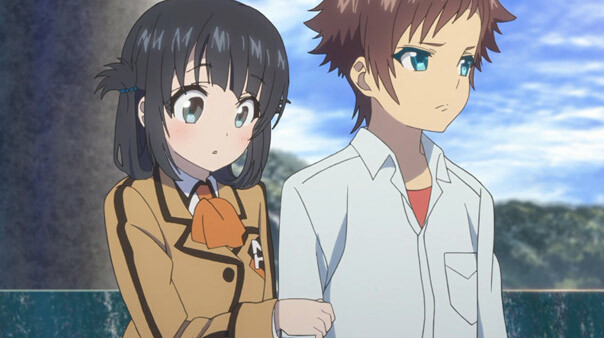 When he bristles at the prospect of just the two of them going into town to order him a school uniform (he’s also in her class now), Miuna invites Sayu as a sort of chaperone. 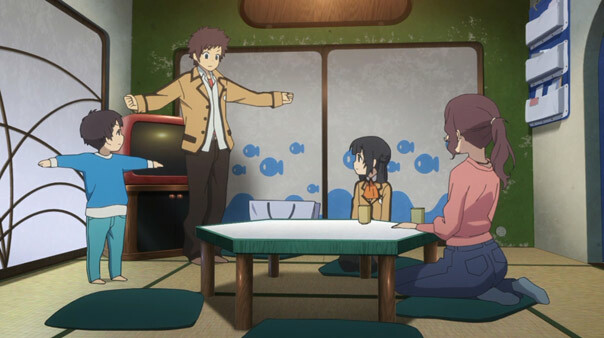 Little does she know by doing so, she turns Sayu, who has probably seen little of her friend Miuna since Hikari arrived, into an unwitting, awkward third wheel, as well as a captive audience for Miuna and Hikari’s near-constant flirtation. 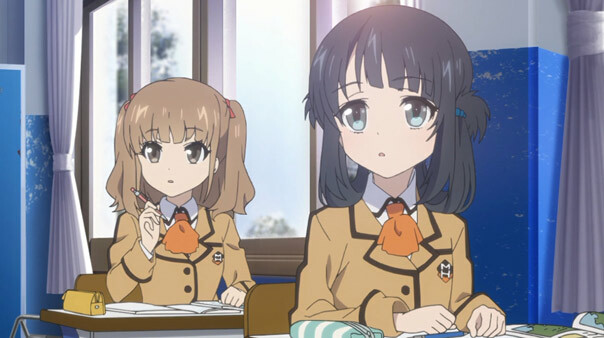 I personally reveled in their interactions—even though Hikari and Miuna have very different ideas about what such actions mean—but I can totally understand how it would irritate Sayu, until she can’t hold her tongue anymore. 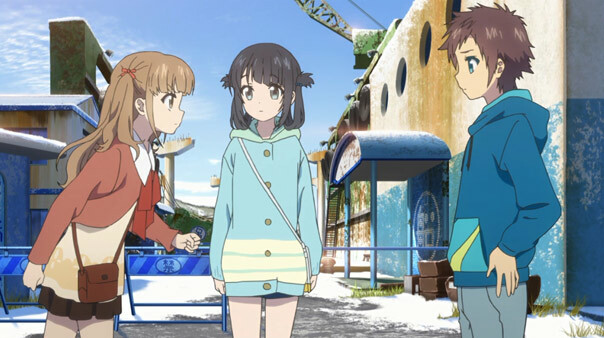 Hikari may not know what’s going on yet, but he does know Miuna well enough to be able to locate her at the abandoned shipyard where they bonded five years ago. 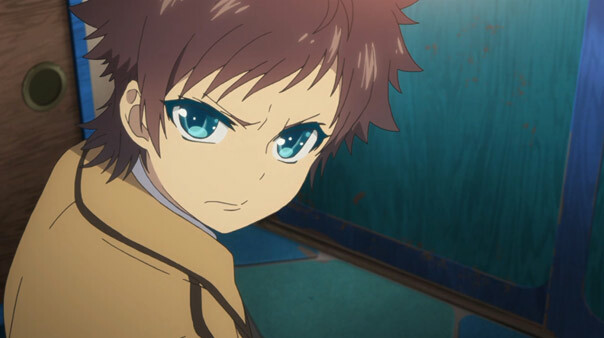 Little does he know by going after her, he makes it that much worse for Miuna to let go of the possibility of being with him. 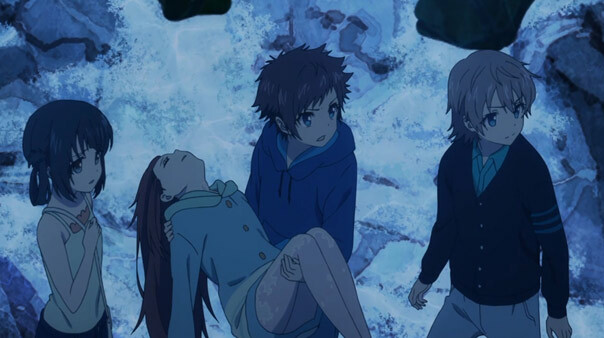 When a rusty crane collapses and she’s thrown into the icy drink, half of me feared for the very worst and the other half knew Hikari would rescue her, possibly leading to a confession. 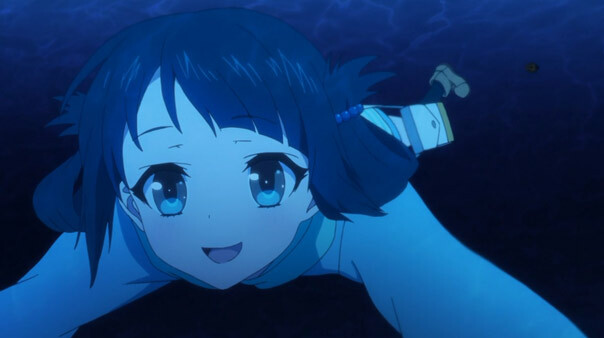 Hikari does dive in after her, but surprisingly (as much to her as us), she doesn’t need rescuing: she grows an Ena, enabling her to breathe and swim like Hikari. 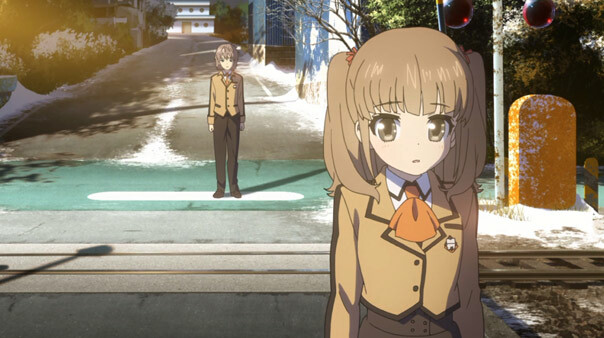 Sayu is only half-right when she yells at Miuna (in their fight that ends as quickly as it starts): quite a few good things have happened to Miuna, but they’re tempered by a couple significant things that are, from her perspective, decidedly not good, namely the fact the guy she loves is her step-uncle, and isn’t interested in her in that way. 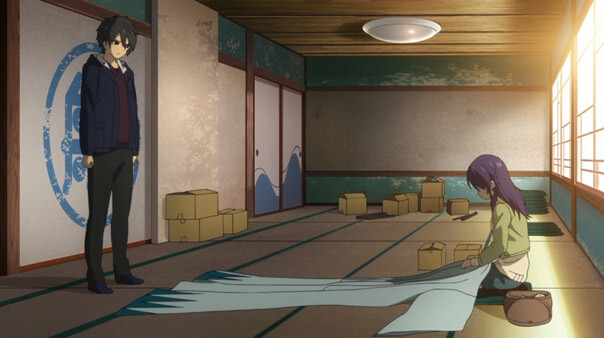 The episode ends with a naked Kaname wandering through the town, not dead after all. 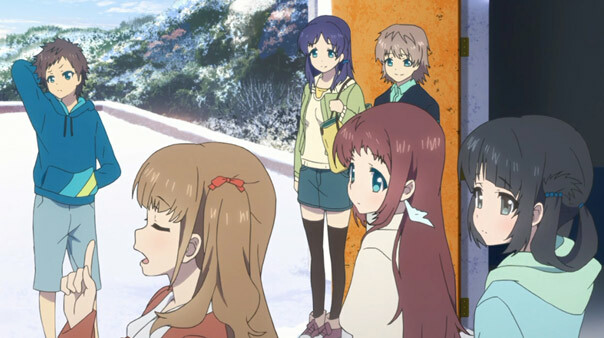 That will certainly complicate matters for Chisaki (see org chart), but also means that at some point Manaka may return as well. 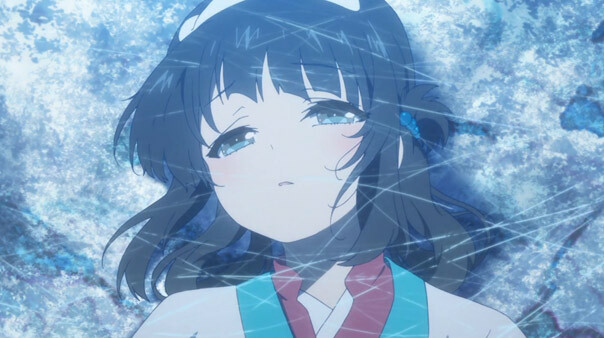 These last three episode have me rooting for Miuna to the point where I’m dreading the date of Manaka’s return almost as much as she must be, for that could be the day all hope of Hikari ever coming around on Miuna dries up. 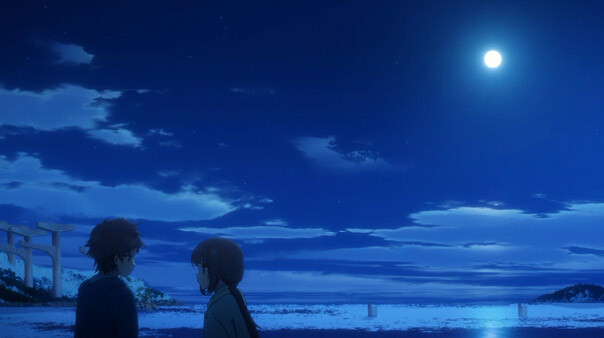 It’s been three and a half months since I temporarily closed the book on Nagi no Asukara to focus on a very full Winter season, but after watching this first installment of the second half, re-opening that book, my first reaction was “Wow…Was it always this damn good?” The Big Board indicates the answer is: “Yes, at times,” and this episode excelled in the same way the best episodes of the first half excelled: by simply touching my heart, and sometimes grabbing it at giving it a good tug. 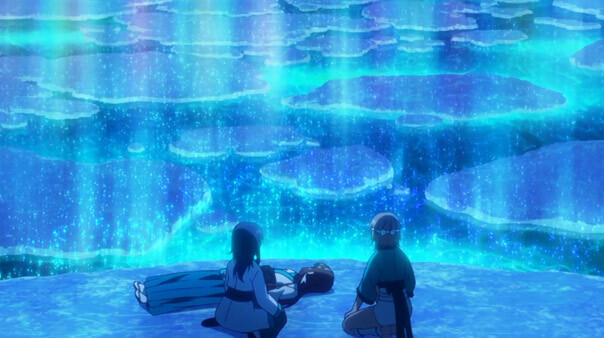 We never see Shioshishio in this episode; it’s inaccessible and covered in ice. 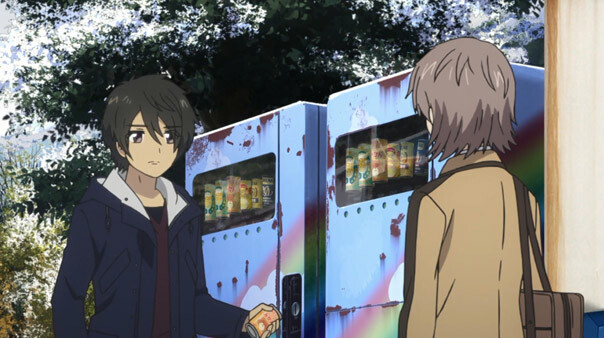 Furthermore, five whole years have passed since the harrowing, life-changing events of the last episode, and a lot has gone on since then. 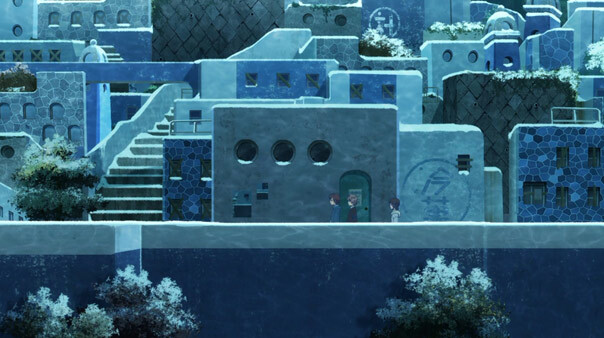 Stranded on the surface, Chisaki, now a nursing student, moved in with Tsumugu and his granddad. 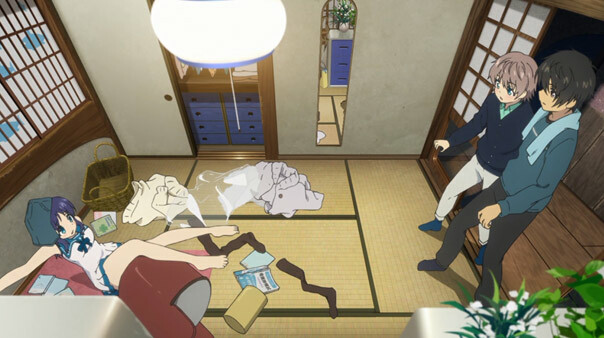 Pops took ill and is hospitalized, so Chisaki and Tsumugu live alone together. 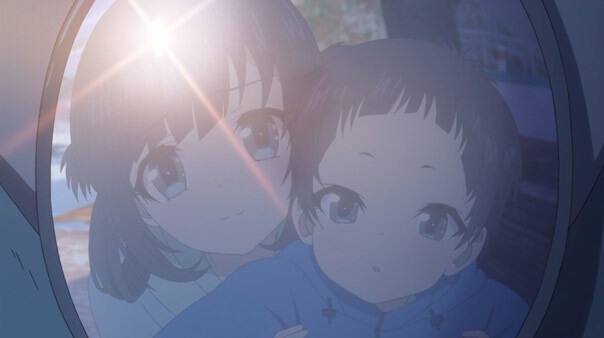 Meanwhile, Miuna has a new brother, the baby she convinced her new mother Akari to keep, and along with Sayu, attends the same high school as Chisaki and Tsumugu. 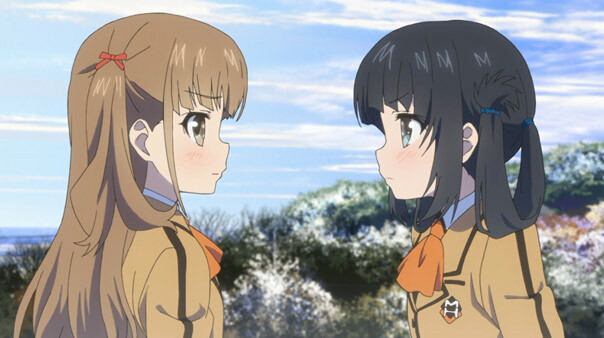 Both Chisaki and Miuna have moved on in some respects, but a part of them remains in the past, unable to love anyone other than Hikari. 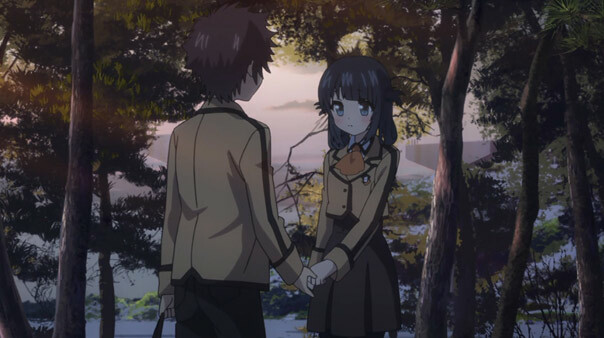 In the here and now, Tsumugu and Chisaki would make a great couple, if only she wasn’t still in love with someone she may never see again. 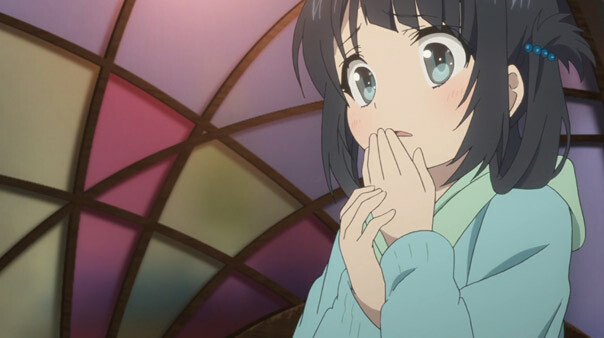 Similarly, Miuna rejects the confession of a classmate. 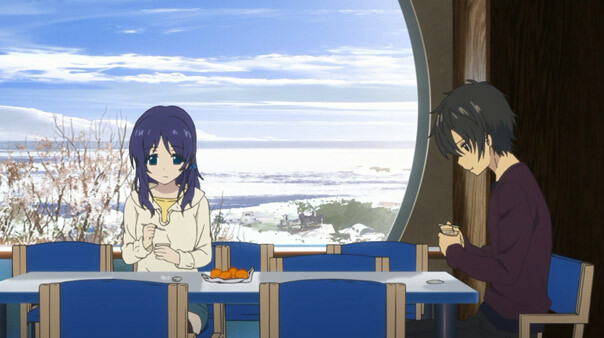 Both of them are always wistfully looking out to the frozen sea, hoping against hope that they’ll see Hikari again. 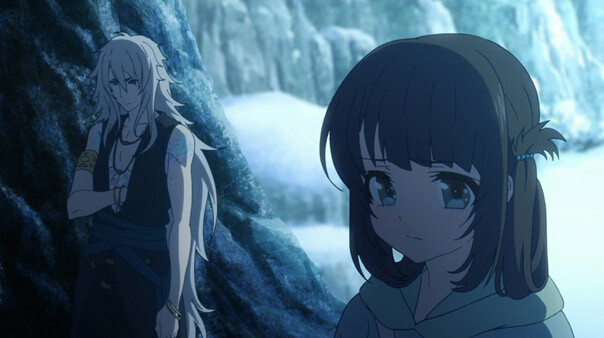 Yet even if he is back, one or both of them could very well have their hearts broken, especially if Manaka returns with him. 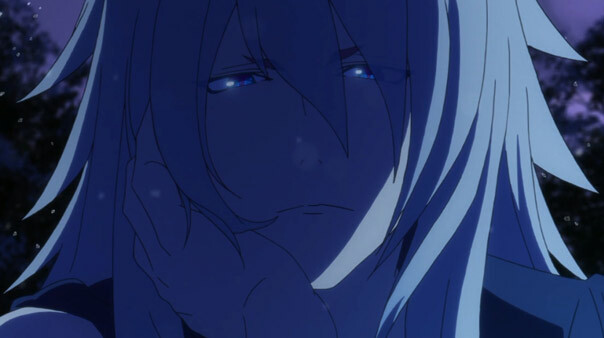 It can be argued whether Hikari is deserving of all this worship, but I’ll give him the benefit of the doubt. While he could fly off the handle, he was a decent, caring lad. 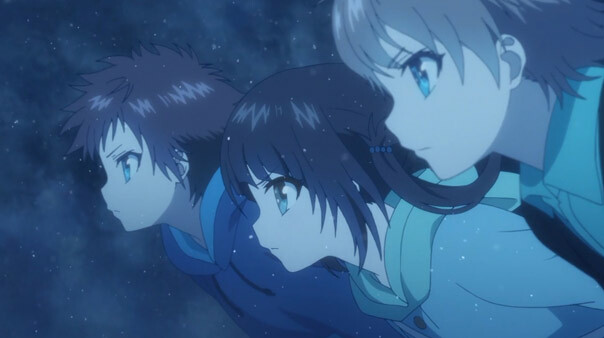 When the atmospheric phenomenon known as the Tomoebi occurs, what do you know, Hikari returns, Terminator-style. 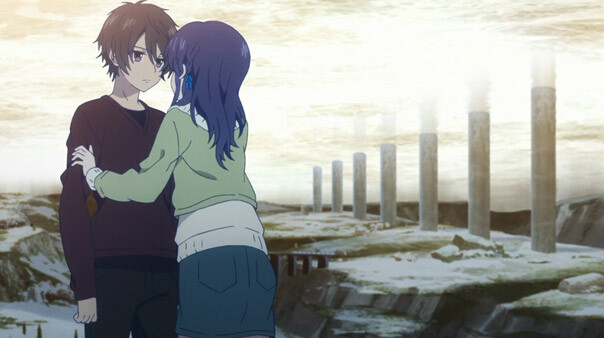 Tsumugu and Miuna are there for his arrival, and Miuna wastes no time expressing her feelings by administering mouth-to-mouth. 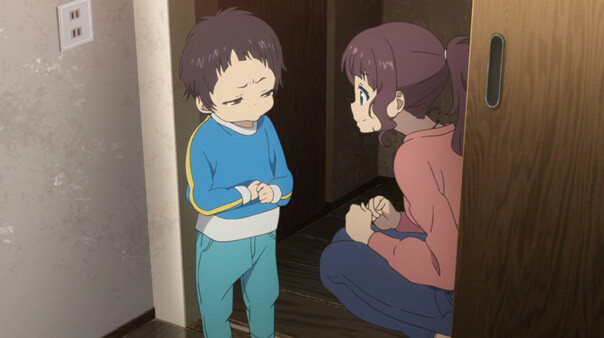 The twist is, Hikari hasn’t physically aged in the five years he’s been gone. 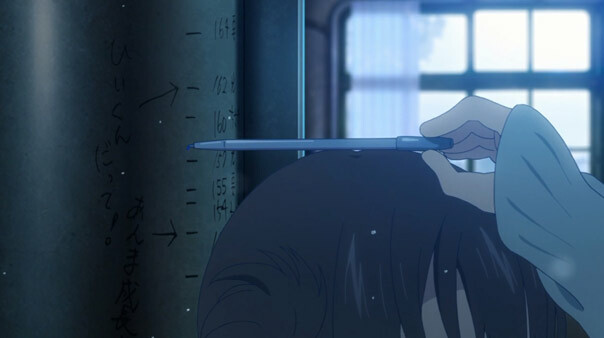 I loved the structure of this episode, how it dropped us five years into the future, slowly, gracefully filling in the blanks as it progressed. 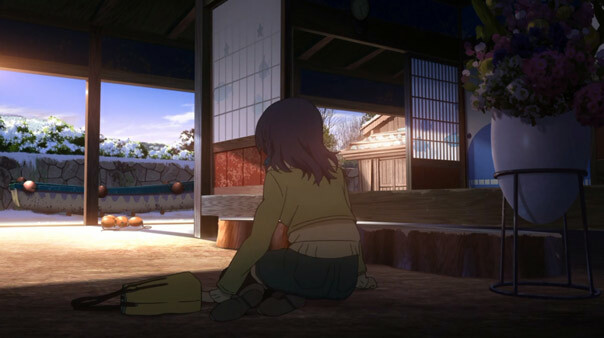 Yet even showing how much life had gone one, the enduring pain of Chisaki and Miuna was palpable throughout. 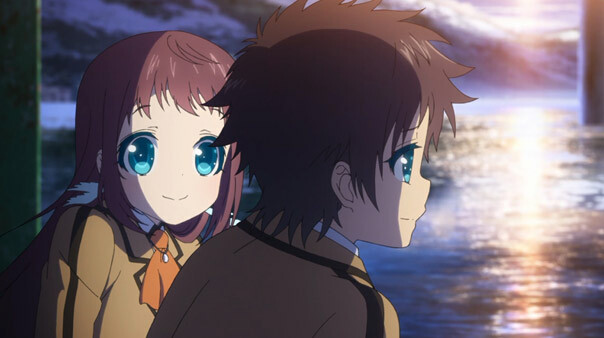 While I’m sure they’ll be elated he’s back, and the non-aging works in Miuna’s favor, the complication of the two of them loving the same guy, who isn’t in love with either of them, remains. 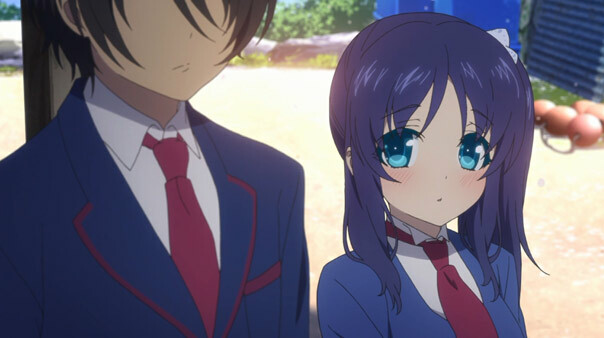 I’m guessing he’ll pine for Manaka just as they pined for him, putting them in the position of Tsumugu and that classmate: being present and eligible, yet undesired. 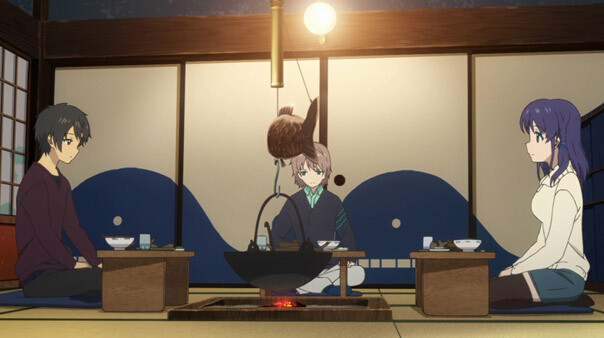 The day of the Ofunehiki and the hibernation arrives. 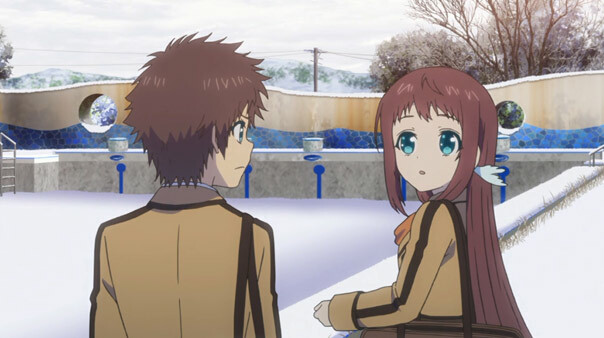 Manaka tells Hikari she’ll tell him her answer after the ceremony, while Chisaki is still thinking about Kaname’s confession. 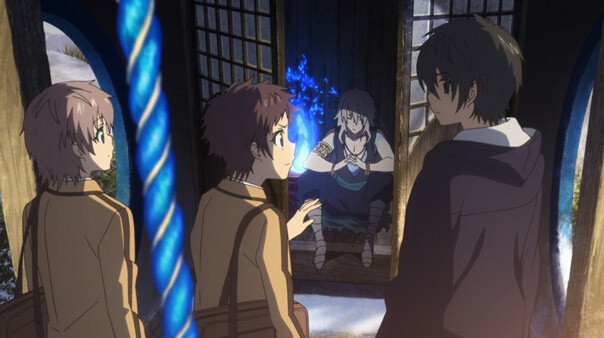 When the ceremony begins with Akari as the Ojoushi-sama, Uroko uses the sacred fire to light her way, then knocks out Hikari’s dad along with the rest of Shioshishio. 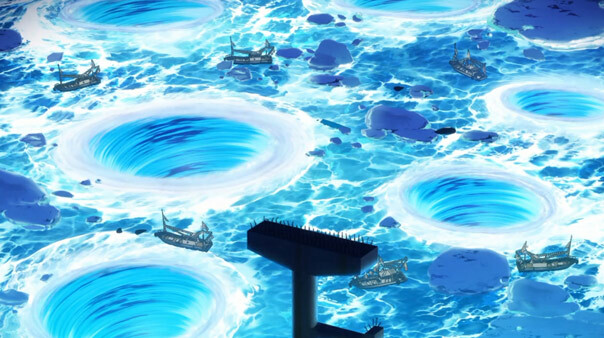 Multiple whirlpools open up; Akari and Tsumugu are thrown overboard. 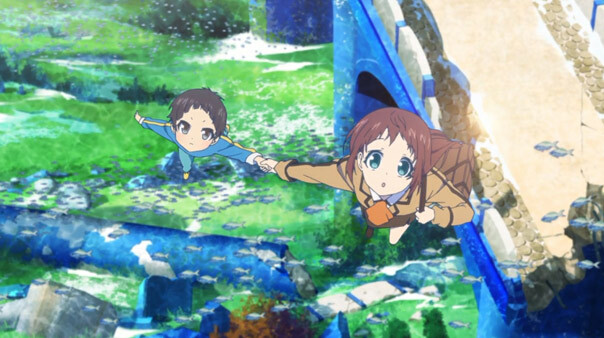 Chisaki, Manaka, and Hikari dive in after them. 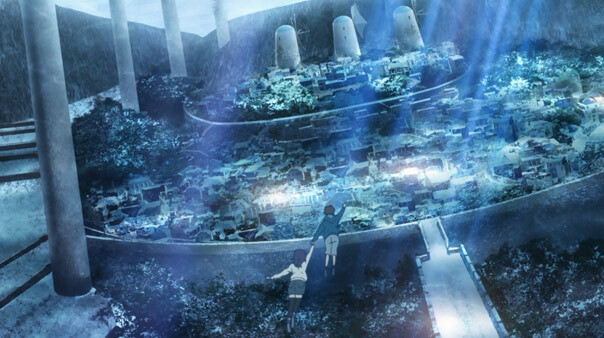 Chisaki rescues Tsumugu, but Kaname is crushed by a fallen concrete bridge pier. 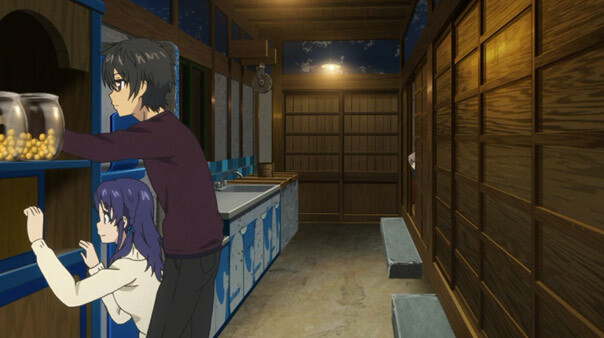 Shioshishio is cloaked in some kind of barrier. 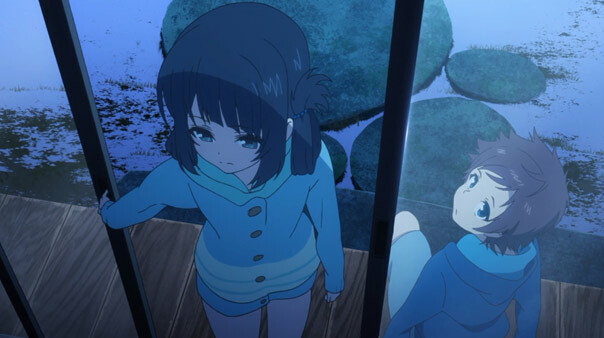 Manaka offers herself to the sea god so Akari is spared. 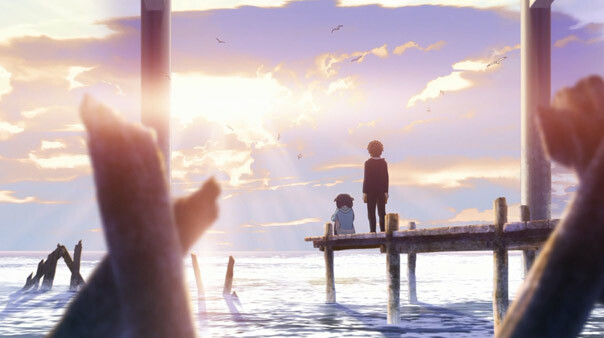 Hikari tries to reach out to her but the sea pushes him away. 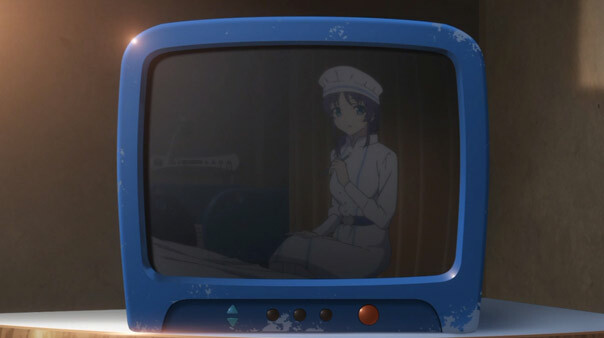 Akari surfaces safe and sound. 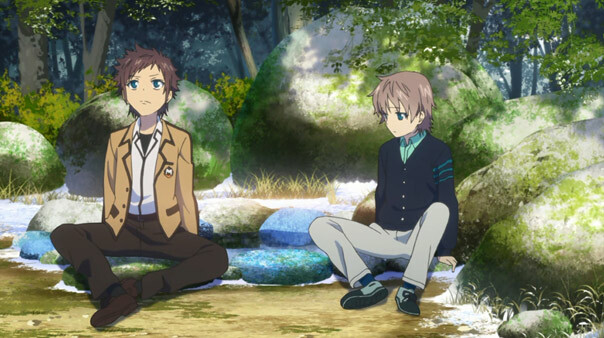 We’ve reach the midpoint of the series, to where everything has been building up: the Ofunehiki. 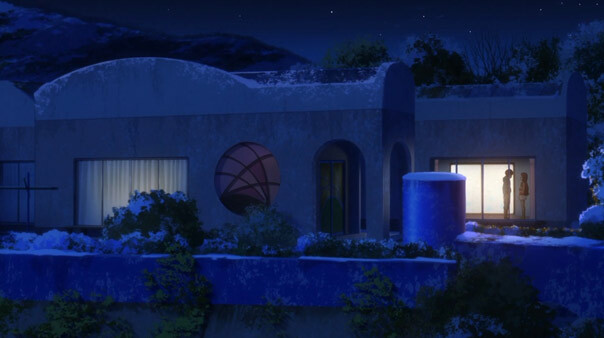 There’s a little more buildup early in the episode as characters arrive at peaceful places in their lives prior to the big event. 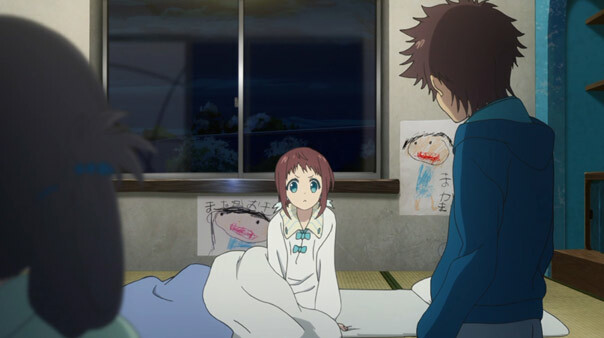 In bittersweet scenes we see Manaka tucking her sleeping parents in, Chisaki’s parents letting her go, and even Hikari’s dad and Uroko cordially seeing off the four. 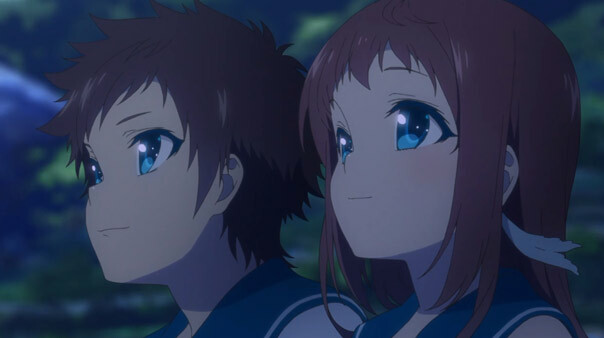 Manaka and Chisaki haven’t properly addressed the confessions they’ve received, but both Hikari and Kaname assure them they’ll love them no matter the response. In all of these instances, with the focus on everyone’s lives and the futures they’re stepping towards, their personal affairs and conflicts loom large and prominent. 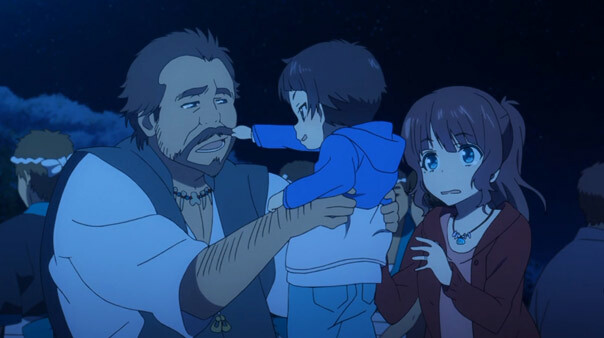 And then nature—courtesy of the sea god, if you will—cruelly proceeds to dwarf and dash all of those hopes and dreams. 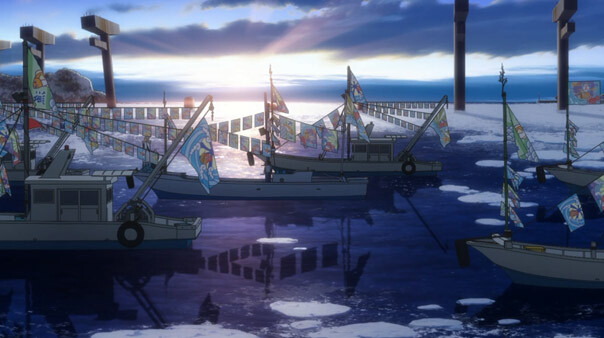 The episode gives the start of the Ofunehiki a proper level of pomp and ceremony: the fires, the flags, the fishing fleet. 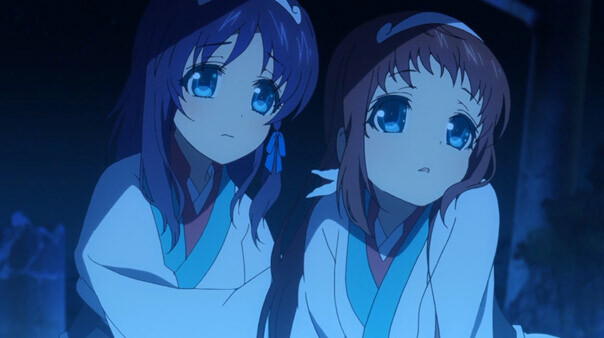 Akari and Hikari are transformed by their new traditional garb. 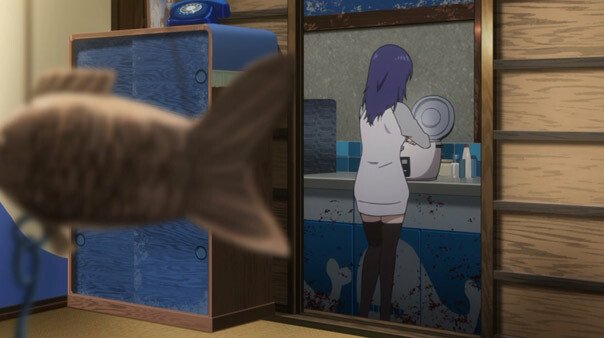 In lighting the way, Uroko seems to be holding out an olive branch to the surface. 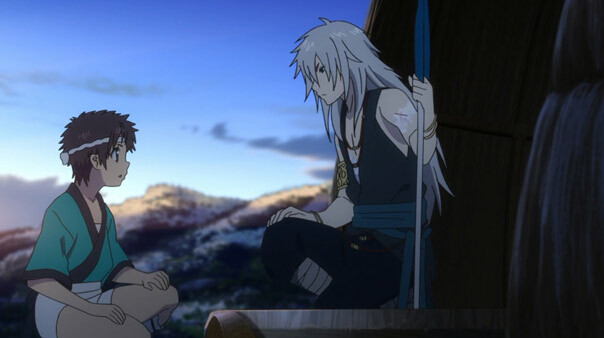 But things turn sinister and it looks like the sea god really will try to claim Akari. 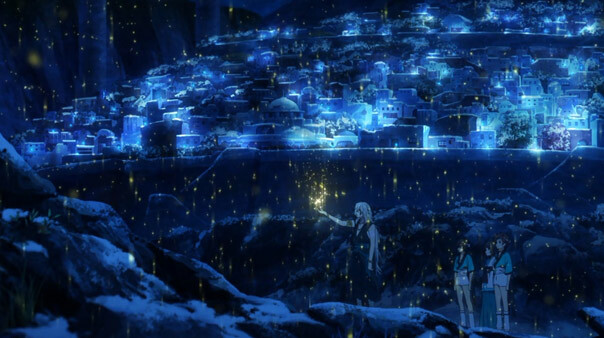 While she survives, the town now seems to be totally asleep (and covered by…something), Kaname is taken out of the picture altogether by a freak accident, and the fate of Hikari and most importantly Manaka is left up in the air. 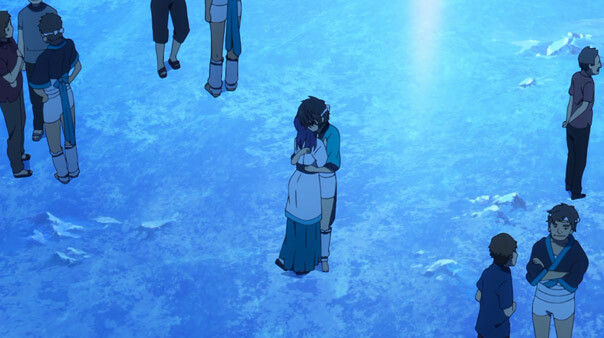 If she became a sacrifice and Hikari surfaces, that’s a hell of a turn. 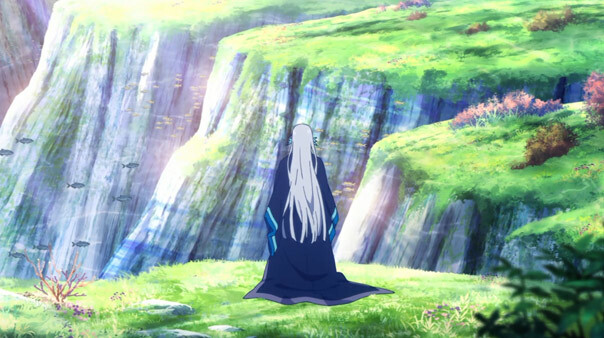 We have no idea where the series will go in the second half, but all the upheaval here left us eager to find out.